We would like to recognize everyone that is serving on of the the Teaching & Learning Committees. Your leadership is appreciated! As you may know, decisions are not made without having input from various stakeholders including our teachers, academic coaches, integration specialists, school principals, and even our parents and community members. Also a very special thanks to the Building Instructional Leadership Teams (BILT) and Technology Integration Leadership Teams (TILT) at each school! Your ongoing commitment to the success of your school is appreciated! On April 3rd, staff completed the Professional Learning Community self-reflection tool, developed by DuFour and published by Solution Tree. Thank you for providing this insight! Honest feedback helps each school improve in small ways and can guide our efforts for next year. The teacher leaders attending the PLC Institute this summer can reflect on the data in order to plan for the 2018-2019 school year. 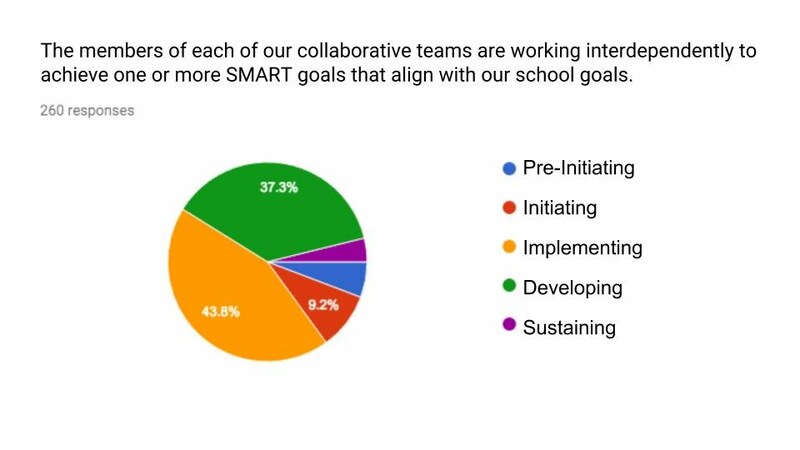 While many of our teams throughout the district are at various stages of PLC implementation, we would love to share highlights that illustrate we have a strengthening culture around a shared vision for student achievement. By having a common understanding around shared missions, shared values, and common school-wide (and district-wide) goals, we are able to overcome differences in content areas, instructional strategies, or levels of experience and truly talk about what matters most to student achievement (attendance, behavior, and academics). PLCs are getting a boost! Forty-four leaders from across Cambridge-Isanti Schools will attend the PLCs at Work Institute in Minneapolis from June 18-20. The leaders will attend keynotes and participate in breakout sessions by educators who have led schools through the PLC process. The large group will also contribute to planning Cambridge-Isanti’s next steps in the PLC process when we meet in August. In reflecting on our April 3rd data districtwide, our school goals, and our ability to address needs with curriculum using the four questions...we are on track for success! A professional learning community, or PLC, is a group of educators that meet regularly, share expertise, and work collaboratively to improve teaching skills and the academic performance of students. Teaching & Learning is excited that so many staff are able to attend this PLC learning opportunity. Going into fall 2018, each school will have double digit numbers of staff trained in the DuFour model. Additional learning opportunity! Want to be inspired? Join a team of C-I staff attending the Ignite and Inspire Innovation Conference 2018. This year's conference will take place at Stillwater Area High School on June 18 & 19, 2018. George Couros will be the keynote speaker on day one, and Brave New Workshop will be providing an interactive keynote on day two. The cost is $149.00 per person for both days of the conference. Cost includes small breakfast items, coffee, juice, and water each morning, lunch each day, and snacks throughout. Approximate schedule will run from 8:00 am - 3:30 pm. Email Kristin Daniels (kdaniels@c-ischools.org) if you are interested in attending. THREE SPOTS LEFTS! 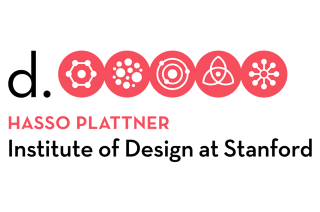 This summer Cambridge-Isanti Schools will be sending 10 representatives to the Stanford d.school workshop on human centered design and design thinking in Stillwater, MN from June 20-21. This is an important step in our innovation tenet within our mission statement. At the core of human centered design and design thinking is a belief that everyone has the capacity to be creative through radical collaboration and real world application. Creativity is inspirational! Our C-I staff will further develop their understanding of human centered design and design thinking, and help us further develop a framework for employee engagement for lean solutions. Bluejacket Brainstorm was a success, and we are looking for ways to refine it for next year. As Stanford brings this model to school districts in Minnesota, we are excited to participate with other progressive peers and continue to make this a priority. Email Kristin Daniels (kdaniels@c-ischools.org) if you are interested in attending. The International Society for Technology in Education (ISTE) 2018 Conference is in Chicago, IL this summer. 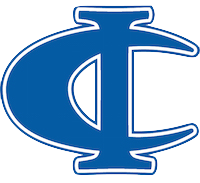 Cambridge-Isanti Schools will be sending 13 staff members to participate. There are hundreds of sessions for staff to choose from, many led by classroom and school leaders from across the country. Kristin Daniels and Shelley Schwab will be presenting "Bring it! Using Crowdsourced Innovation to Facilitate Purposeful Change", along with other members from the first MN Innovation Cohort. Jackie Alderman will be presenting "Digital Sub Folders: Never Come to Work Sick Again!" making this opportunity a great way to showcase our creative and innovative efforts in the district. The following staff members will also be attending ISTE 2018, representing all schools: Christine Bistodeau (IPS), Megan Karolevitz (CPS), Caroline Resler (IIS/SFAS), Kristi Lockwood (IMS/MNC), Kyle Groves (CMS), Darla Peterson (CIHS), Rob Swanson (Technology Integration), Patrick Morrow (Technology Integration), Mark Ziebarth (IIS/SFAS). 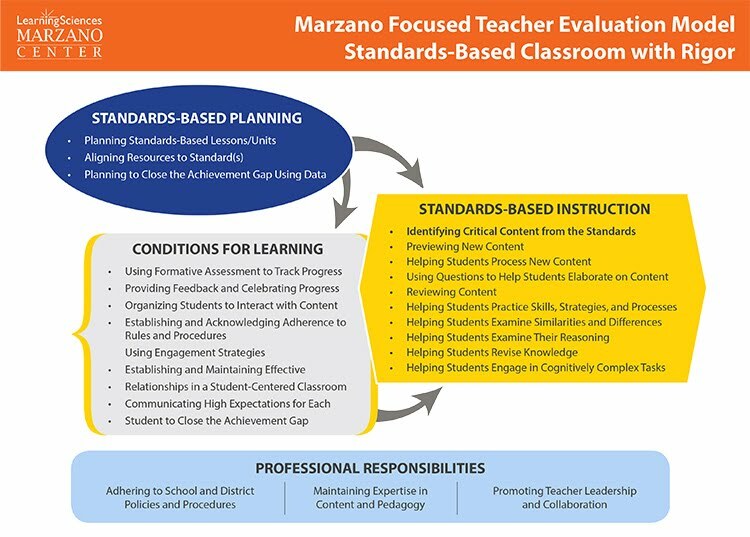 The District Instructional Leadership Team met on April 11 and came to a consensus that the Marzano Legacy Framework (currently 60 elements in four domains) would be phased out in order to adopt the newer streamlined Marzano Focused Framework. As many of you are aware, the Cambridge-Isanti Schools were given a “last minute” grant opportunity in January of 2017 to apply for unspent PBIS funds available through the Department of Education. At the time this grant opportunity became available we only had four schools (IMS/MNC & IIS/SFAS) who had gone through an MDE PBIS training and were using PBIS in their schools. After much discussion and MDE offering Cambridge-Isanti a cohort and training within our own district, it was decided to move forward with becoming a districtwide PBIS program. Though it was a crazy start, we were pleased to create PBIS teams in each school. A total of 90 staff were trained between January 17, 2017 and May 22, 2017. As a culmination of their training, the PBIS teams attended the MDE PBIS Summer Institute in June. Since then there have been multiple team meetings at the different sites and amazing programs being put into place. In addition to the original PBIS grant, we applied for and were awarded a “mini-grant” this past January. The funds from this grant are being used this spring by our PBIS teams to complete the Tiered Fidelity Report and to create action plans for the 2018-2019 school year. Here are a few of the great things that are happening in our schools. Our PBIS teams should be proud of their accomplishments. Golden Spatula Award in our lunchroom, which will reinforce classes who show they are Caring Critters in our cafeteria. Caring Critters take care of themselves, others and property! As we continue the district-wide implementation of Professional Learning Communities (PLCs), assessing “where we are and where we need to go” becomes increasingly more important. Doing so allows us to reflect on how we can enhance our professional practice going forward. Building principals will be leading a short presentation on how our district has been dedicated to PLCs and our draft plans for moving forward. Also, staff will be asked to complete a self-reflection on how effective their PLC is functioning by using the Professional Learning Communities at Work Continuum. This comprehensive rubric was designed with years of research and is published by Solution Tree, the same company who provides the PLC at Work Institute. Schools will use this feedback to inform how they support PLCs in 2018-19 school year. In preparation for April 3rd and for reference thereafter, please access the PLC Reference Guide anytime on our PD website under the “Instructional Resources” tab or view the embedded pdf below. Teacher Appreciation Days at SeaLife MOA! SeaLife at the Mall of America has announced a free teacher appreciation event this spring. C-I Schools staff can attend with FREE admission April 16th - 22nd, 2018! Any guests attending with you will be charged at a discounted rate of the door price admission. A proof of employment (staff ID, pay stub, etc.) must be presented at the box office to receive free admission. In addition to an incredible time, staff can earn two continuing education units at the event. Click here for more information! In January 2016, Chad Filley (CIHS) started a project through the Innovation Program to increase student engagement in his classroom through media. Chad wanted to create a learning environment where his students could not only consume intentional, relevant media but also create media as a part of their learning. After exploring a number of tools, Chad decided to use WeVideo, a high quality, cloud-based media creation platform. The exploration of WeVideo in Chad’s classroom led to the implementation of a WeVideo pilot for 6-12 students and teachers during the 2016-2017 school year. This pilot gave our district access to all features available with the “WeVideo for Schools” plan, including advanced editing tools and access to a library of commercially licensed music and video resources. The number of students and teachers using WeVideo has grown steadily since then and the Innovation Program has continued to support the use of WeVideo throughout the district, purchasing 1000 licensed “seats” for the 2017-2018 school year and increasing that number to 1500 in March 2018. These seats are available to all 6-12 students and all C-I staff when you log in with your @isd911.org account. Check out the inspiring videos (on the right) created by students and staff in our district! There is an instructional video used in the high school ceramics program as a way to support student learning both outside of the classroom and when the teacher isn’t immediately available. WeVideo is also being used at both IPS and CPS for announcements and celebrations. And sophomores in Chad Filley’s class continue to create content, like the video on Henry VIII made by sophomores. Interested in exploring the possibilities? Check out WeVideo Academy and Resources for Educators. Learn how to create videos through tutorials, lessons and tips from the WeVideo team. 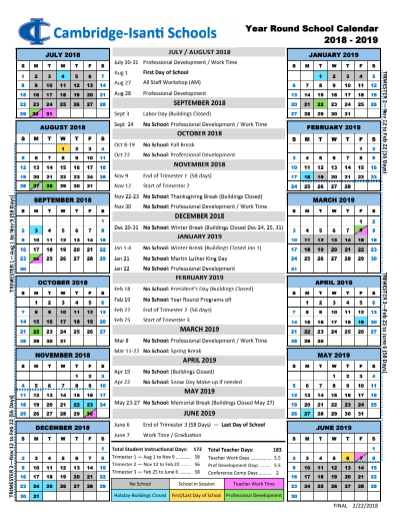 The calendars for the 2018-2019 school year have been approved by the school board, so please remember the professional development days when planning for next year. 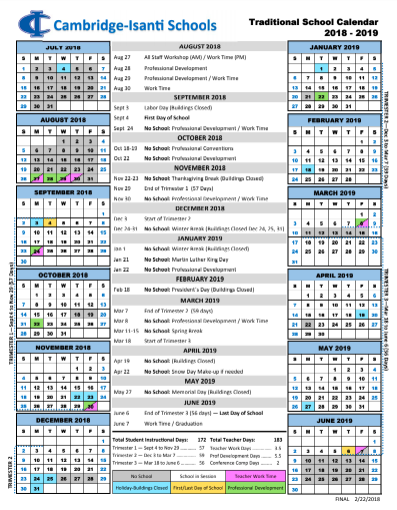 Also, please be aware that K-5 science teachers and 6-9 math pilot teachers should plan for one to three professional development days during the summer months. Specific dates will be sent to appropriate staff by late-May.